Our job is to help you make decisions you can be proud of.We own one of the most up to date databases in the Boston area and excellent buyer aid technology to keep you informed from beginning to end. We are committed to assist you and provide you with the best-personalized home-finding experience. Purchasing a home is one of the biggest life changing decisions you will make, and it is our responsibility to make the process as stress-free as possible. Together, we will determine what type of property and price range are best for you, provide in-depth information and neighborhood tours, and educate you on the best financing steps to take. WE OFFER SINGLE FAMILY AND MULTI FAMILY CONDOMINIUMS FOR PURCHASE IN BOSTON. FROM TIME TO TIME WE ALSO OFFER COOPERATIVES. Single-family homes are homes built on a single lot, with no shared walls. The entire space around the building is private. 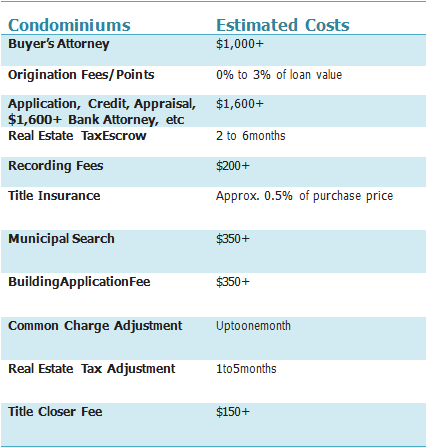 They also typically have no property management fees, such as the ones associated with condominium and townhomes. These are often considered advantages. However, all maintenance and repair costs — interior, exterior, and everything in between — are at the owner’s expense. A building which by design houses a number of different families in separate units. A good example of multi family housing is an apartment building. Additionally, Duplexes, quadraplexes and townhomes also qualify as multifamily housing. An individual, an entity, may own the entire building structure or, as is with condominiums by individuals who have purchased units. Condominiums are a multi-unit complex in which the units are individually owned. When buying a condominium, you are purchasing the deed to the real estate within that building and will be responsible for real estate taxes and monthly common charges. Moving, renovation and sub letting rules tend to be less strict in condos. Most new inventory entering the market is condominiums, and prices are usually higher. A multi-unit apartment building where each resident has an interest in the entire building, and a lease (or contract or share of stock) enabling the owner to occupy a particular apartment unit there. The co-op association, which is usually a corporation consisting of all the shareholders, owns the entire building, including all of the individual units. Very few of these in the Boston Area. Gather your team of professionals for your purchase. You will need an agent ,an attorney and a mortgage broker or lender. Having the support and guidance o fate am of professionals will make all the difference. Obtaining a pre-approval letter is an easy,of ten cost-free service provided by your bank or mortgage brokers and essential to become a real contender for a property. If you don’t already have a pre-approval letter, talk to your HARVARD AVE agent. Make a list of your criteria by order of importance. Our state-of-the-art proprietary database will provide you with a smart search, prioritizing your needs and wants,and try to meet as many of your requirements as possible. Your HARVARD AVE agent will present an itinerary of available properties based on your criteria. He/She will accompany you to view your selections and help you analyse the pros and cons of each based on his/her expert knowledge. Once you have found the perfect property, your agent will submit a written offer. It will include your offer price. After making an offer a licensed inspector is to be hired for a thorough property inspection in order to find any existing serious structural, mechanical or other defects. 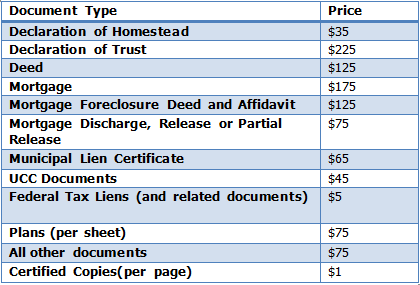 Your attorney receives a contract drafted by the seller’s attorney. Your attorney will make necessary adjustments. Once signed,it is sent back with a deposit check. When the seller signs, it will be “fully executed” and binding. The seller signs binder of 5% – 10% due. This process may take 45 or more days to complete. It is important to contact your bank or mortgage broker immediately after signing your contract. Lenders will require a “fullyexecuted” contract with your application. Your HARVARD AVE agent will accompany you to inspect the property prior to the closing of the sale. This inspection is important to verify all is working properly in the apartment and the seller has or is moving out as agreed. Closings are normally held at the office of the managing agent, with your attorney, the seller and seller’s attorney, the lender’s attorney, and a representative of the management company’s transfered partment in attendance.